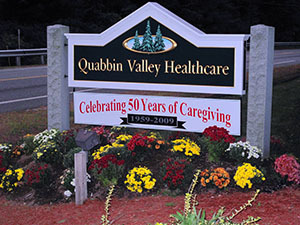 Quabbin Valley Healthcare prides itself in having created the area’s most comprehensive Alzheimer’s and Dementia Unit. Whether you’re a regular visitor or here for the first time, we think you’ll agree The Alzheimer’s Center at Quabbin Valley is unique. 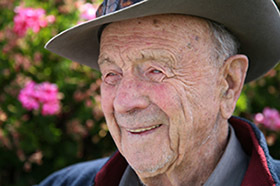 The architectural elements of this unit offer a home-like, secure environment that is specifically designed to lessen the stresses of everyday life and provide the therapeutic environment necessary to enable a person with memory loss or dementia to remain as independent and engaged as possible. Encourage the highest level of function with the use of proper colors to aid in orientation and sound reduction to reduce distractions. Enhance self-esteem by maximizing independence with secure exits and an enclosed outdoor courtyard that promotes safe, independent mobility. Support their ability to find their way throughout the day. Aid in falls prevention with non-glare flooring, the use of predictable pathways, and lighting that enhances visual perception. Nationally recognized Alzheimer’s expert Joanne Koenig- Coste led the center’s design team. The Namaste program at Quabbin Valley Healthcare is designed to acknowledge the changes that come with advancing dementia while celebrating the person who remains with us. Our Namaste room offers peaceful, sensory-based activities that are designed to relax and comfort. Residents are placed in soft recliners, wrapped in warm blankets, and see and hear the birds outside of the window while their hands and face are massaged with softly scented lotion. Familiar sounds, sights, and smells offer comfort, while gentle touch embraces their inner soul. 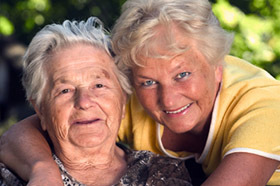 The protocols of treatment for those with Alzheimer’s disease are constantly changing. The staff at Quabbin Valley Healthcare are currently reviewing the latest techniques and revising programs to embrace those changes. Please visit our link to research articles. Recognizing that Alzheimer’s disease not only affects the resident but his or her family and friends, Quabbin Valley’s trained support leader, Wanda Landry, offers support sessions to not only those residing at the facility but also to the community at large. Our support group meets on the second Wednesday of every month at 3:00 pm at the North Quabbin Adult Day Services, 1471 Main Street Rear, Athol, MA 01331. Respite care is provided for all support meetings. Pre-registration is requested. Please call (978) 248-9470. We have a dedicated activity staff specifically trained to meet the needs of our residents with memory loss.